Limits the ranges of temperature, solder wire feeding length and speed in which the operator is allowed to work. It is the ideal solution for soldering processes requiring a free hand. 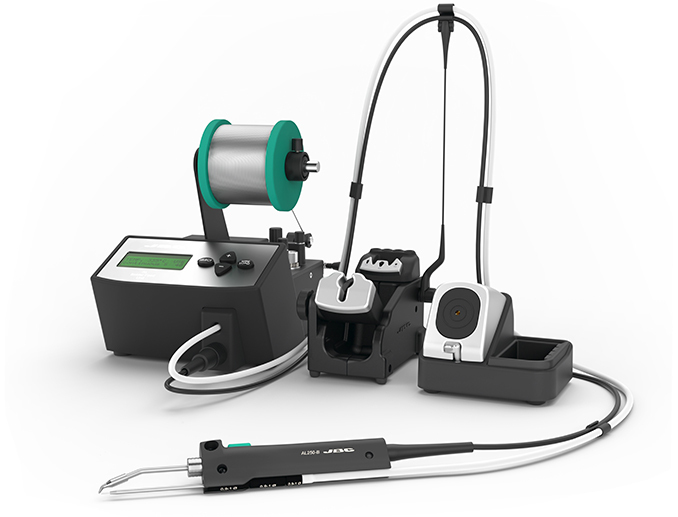 With a single press of a button, the tool automatically feeds the precise amount of solder programmed in the station. This feature makes the AL the perfect tool when solder amount consistency is required across repetitive solder joints. Wire dispensing speed and length are easy programmable. Available guide sets make this tool compatible with 0.4 to 1.8 mm solder wire.